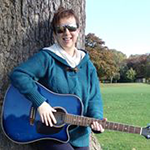 Sally is a singer-songwriter based in Medway, writing and performing with Brian Carter, her long suffering (says Sally) husband, guitarist, and musical director. Their aim is to entertain, with songs that make you laugh, or cry, or just think – and make a connection with listeners and audiences. They tend to get categorised as folk musicians – probably because what they do tends to be stripped down, unplugged, story based. 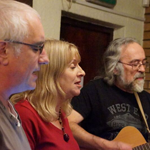 Let’s not get into a debate about what folk music is, Sally says, suffice to say that what they do is contemporary, with a nod to traditional themes, and they often sing stuff that people like to join in with. 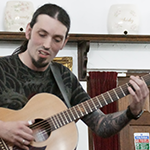 Brian has worked as a professional and semi-professional musician all of his adult life. Over the years he has developed a style which fuses jazz, folk & latin to produce a unique mix of melody and bass rhythms. Sally only really found her wings since they met in the 1990s – although Sally always loved to sing, and strummed guitar to accompany herself, it was Brian who promised to ‘put her name up in chalk’. 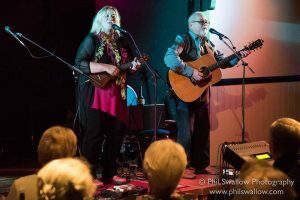 Over the years they have written commissions for BBC documentaries and Broadstairs Folk Week; they ran the First Friday Folk club at the Tom Thumb Theatre, Margate, and have been supporting artists for Belshazzar’s Feast, Barbara Dickson, Jacqui McShee, Chris Wood & Jez Lowe. They also won the Milkmaid Folk Club Folk Song competition in 2016. 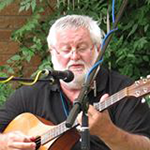 Bob describes himself as a semi-retired Traditional Folk Musician. Retired, perhaps, but retiring. 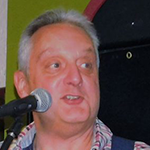 An excellent multi-instrumentalist with a wide range of songs, Bob is a local favourite for a very good reason. An impressive singer-songwriter from Coventry, with a growing reputation. 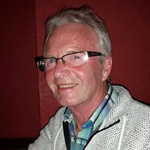 John spent half a lifetime in other areas of the entertainment business chasing the dream, most notably in the magic world performing for corporate audiences, either as after dinner entertainment or doing close up magic. Now his magic is in the music. Katherine is a songwriter from Warwickshire who works on the folk scene as both a solo performer and as a member of Daisybell.